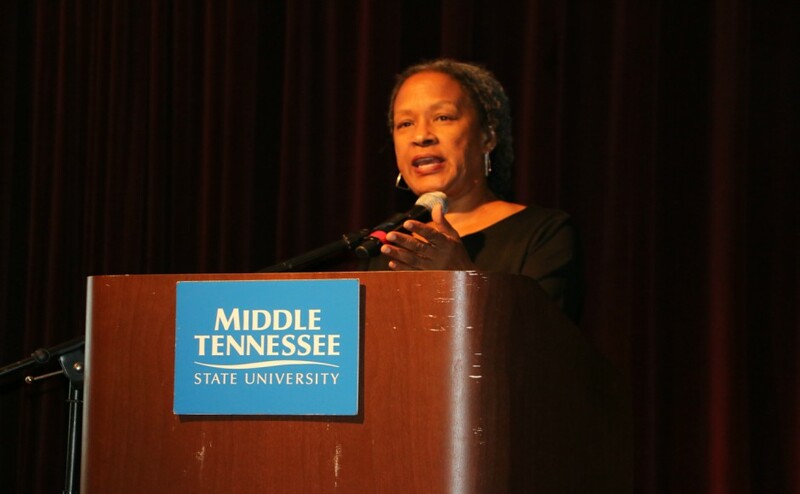 Southern Poverty Law Center Director of Outreach Lecia Brooks provided the MTSU Scholars Week Keynote Address, which focused on the current state of hate, bias and discrimination in America, in the Keathley University Center Theater on Wednesday evening. Brooks began her speech, titled “The Rhetoric of Hate and the Art of Resistance,” with an image of a fragment of a quote from Martin Luther King Jr. inscribed outside of SPLC’s headquarters in Montgomery, Alabama. The quote reads, “Until justice rolls down like water and righteousness like a mighty stream,” and serves as a rallying cry for the organization. 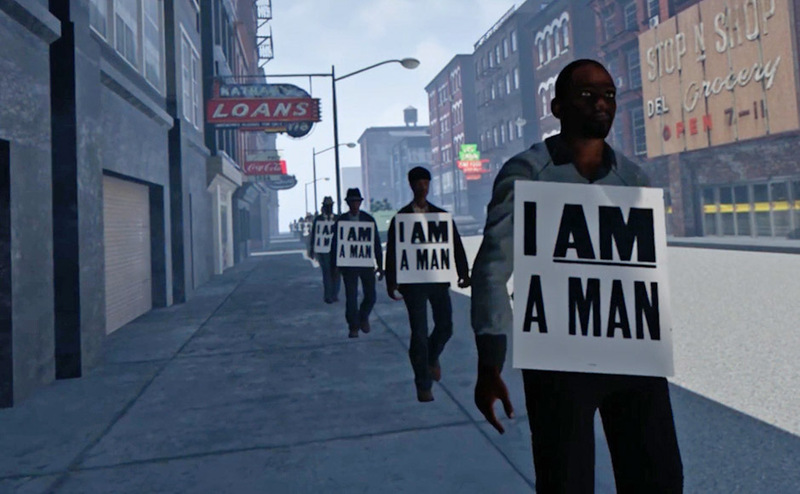 After calling on the audience to reflect on the imminent 50th anniversary of King’s death, Brooks launched into a brief historical overview of the civil rights movement. The movement, and particularly the famous March on Washington, Brooks noted, was multiracial, interfaith and intergenerational and depended upon the involvement of college students and college-aged people. Despite the gains of the movement and the passage of the 1964 Civil Rights Act, however, “conditions for African-Americans are still pretty much the same as they were in 1968,” Brooks said. Furthermore, Brooks stated that racial and political hate in the U.S. has become almost as public and severe as it was in the darkest days of the deeply divided 1960s. 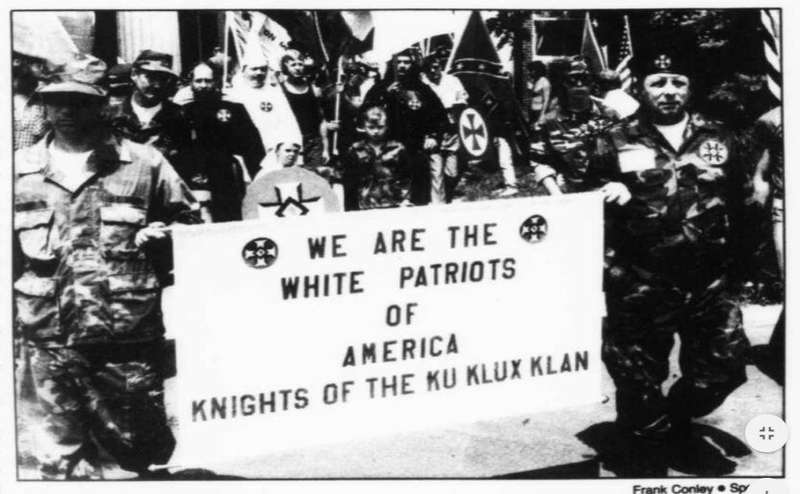 While traditional Ku Klux Klan rallies with the white hoods still occur, many hate groups have adopted more modern tactics and taken steps to clean up their appearance to win over those who found the Klan too distasteful or outdated, according to Brooks. She pointed to the clean-cut, professionally dressed young men who swarmed Charlottesville, Virginia, in August 2017. 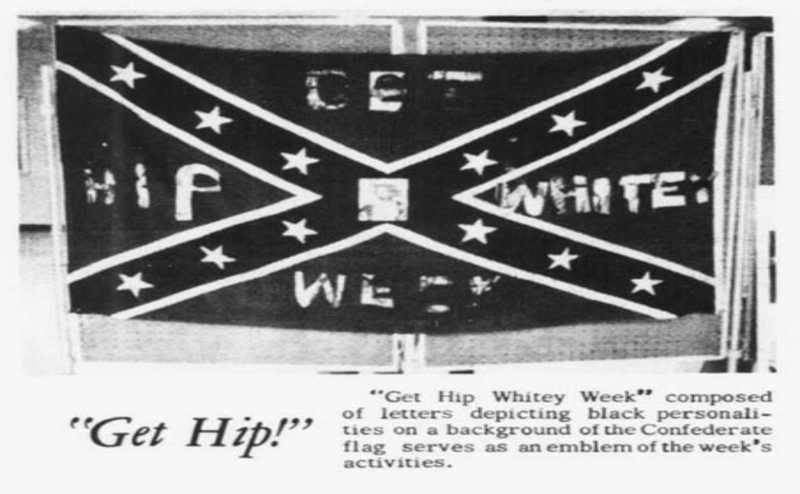 The white nationalists were equipped with simple slogans, which have been popularized on social media and increasingly popular neo-Nazi websites, such as the Daily Stormer. According to Brooks, the Daily Stormer’s popularity has exploded in recent years, with its monthly unique hits rising from approximately 150,000 in June 2016 to 750,000 in April 2017. According to Brooks, websites like the Daily Stormer and hate groups like Identity Evropa, which has attracted media attention for its campaign of plastering racist flyers on college campuses across America, prey on vulnerable young men. 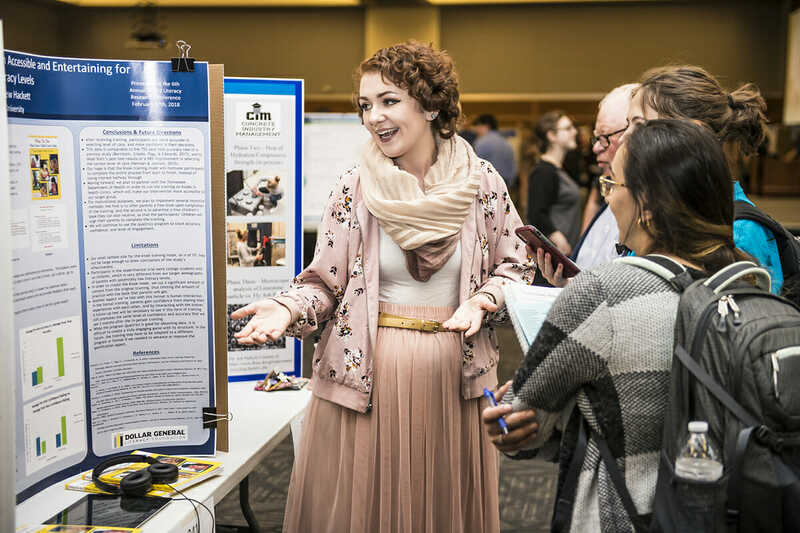 Fliers for Identity Evropa were found on the MTSU campus in October 2017, and fliers and promotional material for another categorized hate group, Vanguard America, were found throughout the campus in the last few months. “Online propaganda for hate groups in America is the same kind that’s used by ISIS,” Brooks said. Hate groups and hate incidents, which are tracked by SPLC, have been on the rise in recent years, and Brooks didn’t hesitate to lay the blame at the feet of President Donald Trump. According to the SPLC website, 917 hate groups were active in the U.S. in 2016, and 954 were active as of 2017. These numbers are an increase from both 2015 and 2014. Ultimately, Brooks urged the audience not to think of hate just as a systemic and national issue but a personal and individual call to action.